It’s Monday again and I feel great about what I worked on this weekend!! I worked on our Crochet-A-Long (which I am loving), The Sunburst Granny Afghan for a charity… and Two Free Crochet Patterns to review!! I hope you all are enjoying the Crochet-A-Long… There are so many great color combinations being shown over on Facebook Show and Tell each Friday… It is so inspiring!! The Sunburst Granny Afghan I am making for a charity is coming along nicely!!! All the squares are now ready for the final base color then I can attach them and add a border!! I hope to be completely done later this week!! 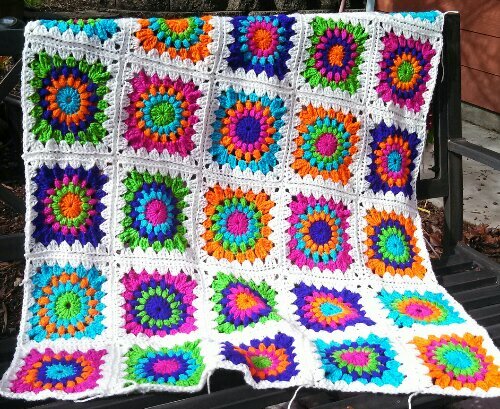 Sunburst Granny Afghan, Free Pattern by Pricillas Crochet… It will be 35 squares total! 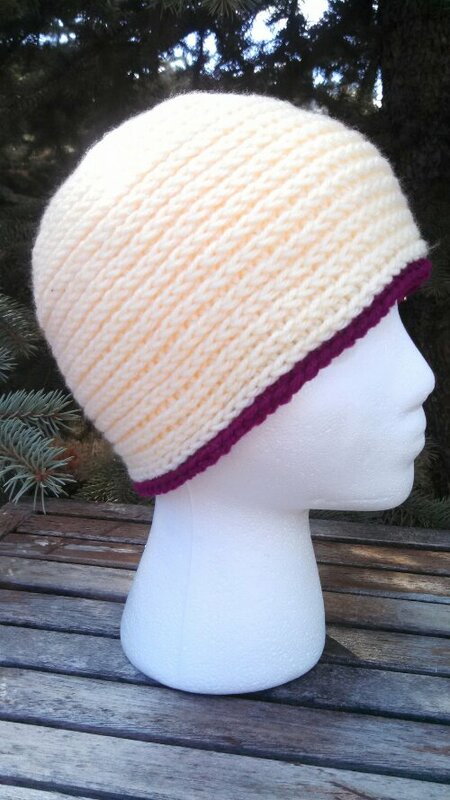 The first hat I worked up this weekend is by my dear friend Kathy at ELK Studio Handcrafted Crochet Designs… She is an amazing designer and has been putting out some really wonderful patterns… Click Here to head over to her site to see all of her patterns! This hat is called Morning Frost… It was easy to follow and has amazing texture… Kathy gives several different style options on the pattern… I chose to make it two tone… and as I was taking the picture I discovered how great it looked when I turned it inside-out too!! A couple great things about this pattern is… 1. It is a FREE PATTERN and 2. It is easy to memorize the pattern… This makes it very easy to work up while watching TV! 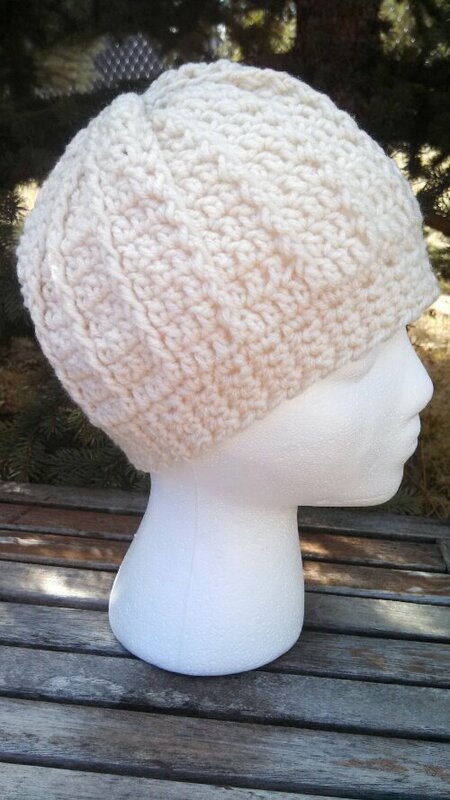 If you would like to make this hat… Click Here for the Free Pattern Link! Morning Frost Hat… Turned inside-out! The Second Pattern I made up to review is by e-Lee from the Crochet Lounge… Last month I reviewed her Mariposa Beanie…This is another great pattern by the Crochet Lounge!!! 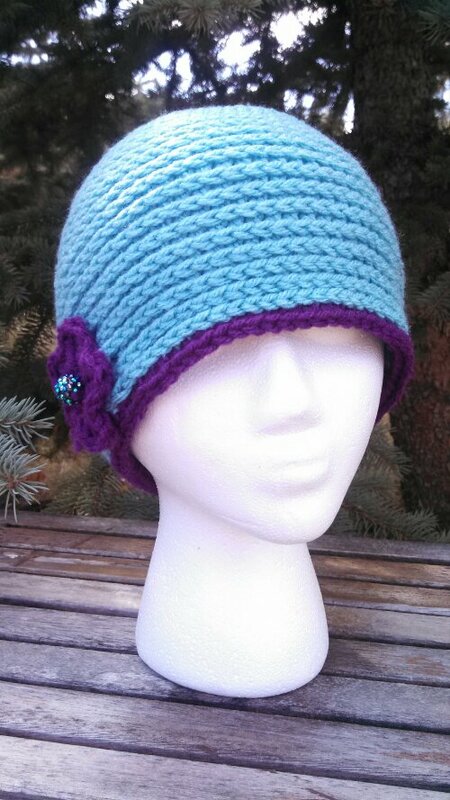 Just in time for Valentines Day, you can whip this up in just a couple hours… The pattern instructions are excellent and once again she uses some new techniques like the Foundation Single Crochet, she gives great explanations for all of the stitches and this Headband is easy to make and the results are outstanding!! This is the Eternal Love Hugs and Kisses Headband, Click Here for the Free Pattern! Eternal Love Hugs and Kisses Headband by Crochet Lounge…. I hope you try these Free Patterns!!! And stay tuned later this week for a Big Announcement!!! I have something special for you!